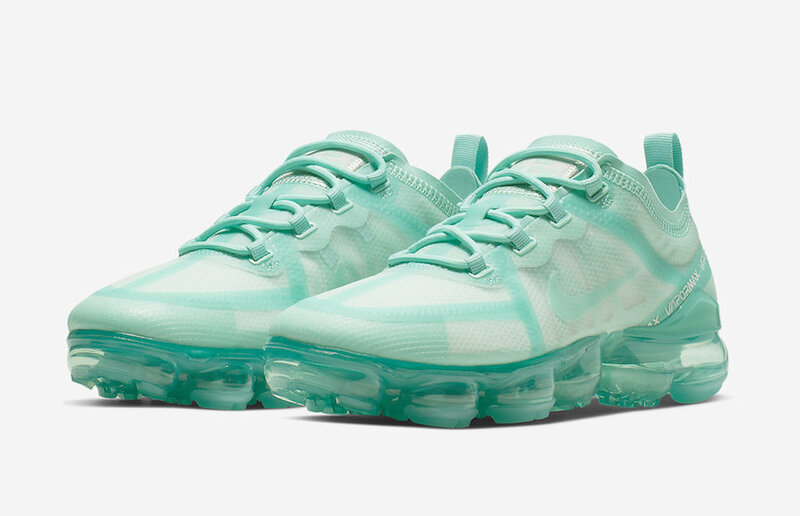 Perfect to wear during Easter Sunday, Nike drops a brand new women’s exclusive Air VaporMax 2019 in a “Teal Tint” colorway. This iteration comes dressed in a Teal Tint, Hyper Turquoise, Off White, and Tropical Twist color scheme. It features a full Mint Green upper with matching VaporMax sole unit paired with White branding on the taped heel. Check out the official photos below, and you can find this VaporMax 2019 available now directly on Nike.com. The retail price tag is set at $190 USD.